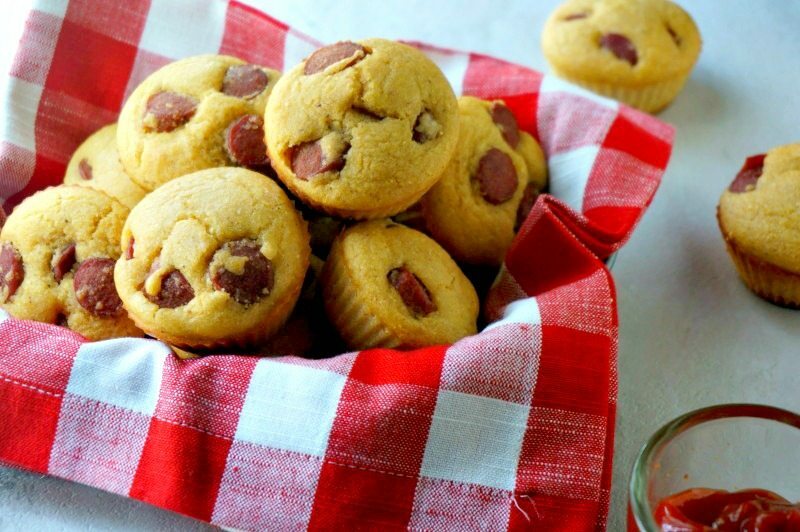 These Corn Dog Muffins are a Kid FAVORITE!!! 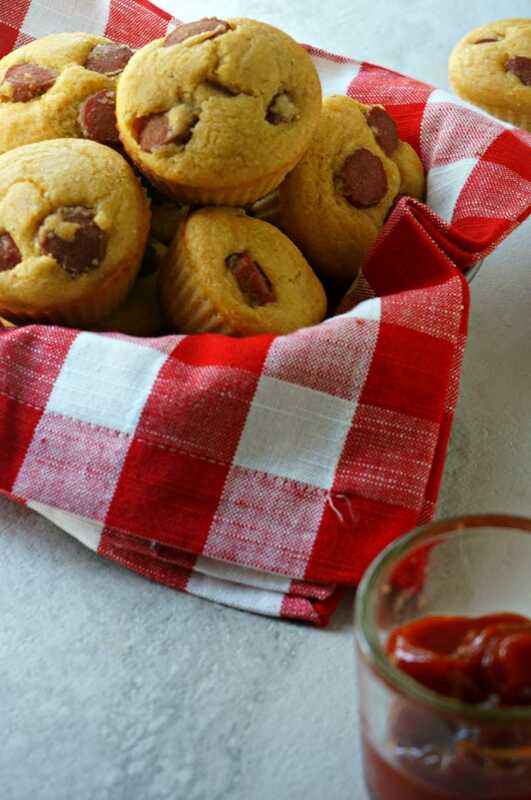 A whole grain version of cornbread is baked up into muffins and filled with juicy diced hot dogs, for a healthier version of a corn dog that is loved by kids (big and small). There is nothing I love more than getting into the kitchen with my kids. Scratch that. I think I love getting into the kitchen with my kids. But I don’t like the mess that comes along with their helping hands. HOWEVER, I bite my tongue and invite them into the kitchen with me as often as I can. Why? 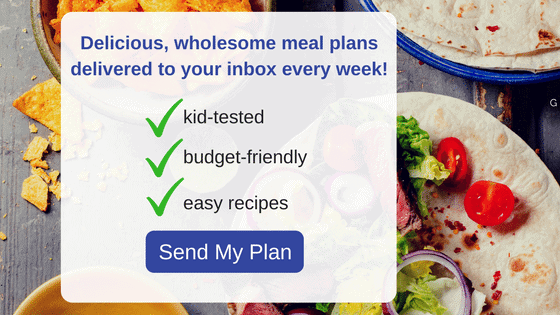 Because I know that I am laying the foundation for them to develop a healthy diet and by getting them involved, they are much more likely to try new things and eat more fresh fruits and veggies. One of the ways I let my kids have some say in the kitchen, is through their lunches they take to school. I let them pick out their favorite fruits and veggies and take requests–like if they would rather have a sandwich or leftovers from dinner. 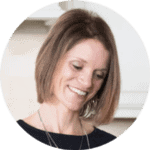 My kids love to take PB& J Muffins, Hidden Veggie Quesadillas, and Mac and Cheese Muffins, and Corn Dog Muffins. Tender whole grain cornbread surrounds nuggets of hot dogs, making these Corn Dog Muffins a favorite treat of kids everywhere. And it can be our little secret that these corn dog muffins are packed with whole grains and protein as well. So whether you eat these on a picnic, at home, pack in a lunchbox or eat with ketchup, mustard, or plain, I guarantee this twist on a traditional corn breas is a WINNING dish! And it is simple enough, your kids can even help you make them–without too much of a mess! Prepare muffin tin by greasing well or using silicone muffin liners. In a mixing bowl, combine eggs, buttermilk, butter, and and honey. In a separate large mixing bowl, whisk together flour, corn meal, baking powder and salt. Add diced hot dogs and corn and cheese (if using), to dry ingredients and toss well. This allows the hot dogs and corn to not sink to the bottom of the muffin. Add wet ingredients to this mix. Stir until well incorporated. Using an ice cream scoop to keep muffins uniform in size, scoop batter into muffin tin lined with silicone liners. Bake for 15 minutes, or until set. One of the best parts about corn dog muffins is that they freeze beautifully, which makes them an easy option for school lunches. I will make up a big batch, let cool and then freeze in a freezer safe bag or container. For lunches, I just take one or two (or four for my growing middle schooler) and throw in the lunch boxes. They defrost by lunch time–and my kids like them cold! Bake corn dog muffins as recipe states. Once muffins are frozen solid, place in freezer bag. Feel free to use non-dairy milk to keep these Corn Dog Muffins Dairy-Free. To make Gluten-Free Corn Dog Muffins, use an all-purpose gluten-free 1 to 1 flour blend in place of whole wheat flour, and be sure your cornmeal is gluten-free. 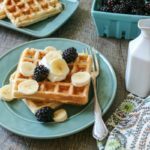 I love to use whole wheat flour in these muffins to keep them on the healthier side, but feel free to use all-purpose or whole white wheat flour. To make your own buttermilk, pour 1 teaspoon lemon juice or white vinegar into measuring cup and then fill the remainder of the way with milk of your choice (this works with non-dairy milk as well). I use organic beef hot dogs, but chicken hot dogs, traditional hot dogs, or veggie hot dogs work as well. To keep these muffins egg-free, you can use a flax seed substitute (1 tablespoon flax seed to 3 tablespoons water). A tender corn muffin stuffed with bites of juicy hot dogs. Add diced hot dogs and corn and cheese (if using), to dry ingredients and toss well. This allows the hot dogs and corn to not sink to the bottom of the muffin. Bake for 15 minutes. or until muffins are set and a toothpick inserted inside muffin is dry. Yay! I’ve made this before (a less healthy version), so I am excited to try this recipe. Thank you for noting how you can make cornbread itself…because you know I was going to ask. 🙂 You are so helpful! Thank you! So glad you are excited to try these!!! And yes, cornbread is a great recipe to have on hand! Feel free to sub out the whole wheat flour for white flour if desired. No, not as many whole grains, but still healthier than a box mix!